When I talk to people about learning to sew they often start off enthusiastic (yay!) and then start to feel intimidated (boo!) … especially if they’ve just walked through a Big Chain Fabric Store and seen the oceans of Special Sewing Stuff that’s available. Do they need all of it? Do they need any of it? What the heck is some of it for, anyway? 1. A really good invisible zipper foot . I put an invisible zipper in almost everything I make … and for many years I muddled along with a narrow foot or even those pink-and-blue snap-together feet that you sometimes get in the zipper package. Don’t do it. This foot is less than $5 (for my machine, anyway) and is completely worth it. 2. 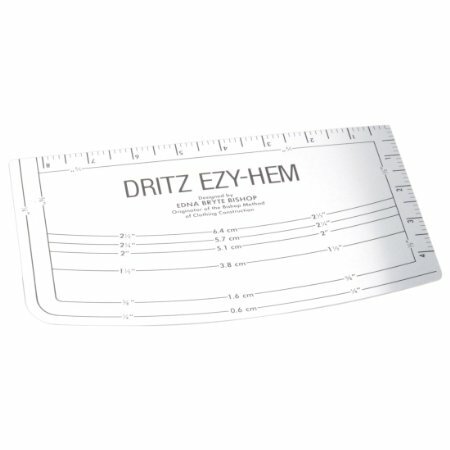 The Dritz EZY-HEM . I’m pretty much a sucker for anything with deliberate cheesy marketing misspellings, but the EZY-HEM really is easy. It saves SO MUCH TIME when pinning machine or hand-sewn hems, and it’s extremely satisfying to run over this (metal, indestructible) tool with your steaming iron. Highly recommended, and under ten bucks. You’ve probably read by now that half of sewing is really pressing, and it’s true. A tailor’s ham lets you really steam curves so that your collars, facings, sleeves, and so on all lie flat nicely. 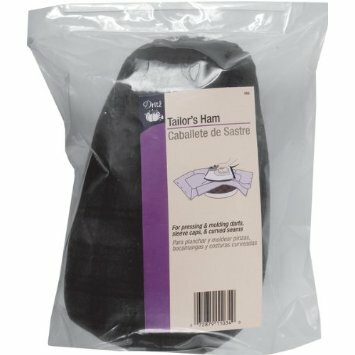 Also, it’s really fun to throw a tailor’s ham at people who bother you when you’re sewing (joke). There are plenty of tutorials online that teach you how to make your own, but since they can usually be had for well under twenty dollars, I prefer to buy one and save my sewing time for other stuff. Also, I’ve had mine now for …. fifteen years? So I think it has been amortized sufficiently. I know I said that you just need one pair of good scissors, and that’s true. But it’s incredibly convenient to have one or two pairs of these teeny (four-inch) scissors around. They’re great for snipping threads, clipping curves and points, and other close work. You can get nicer ones, but since I tend to drop these on the floor a lot (or lose them to someone who uses them for things that AREN’T FABRIC) I buy a new eight-dollar pair once a year or so. 5. A really big ironing board. Okay, so this is more than ten bucks — it will set you back over a hundred, most likely, especially if you upgrade to a muslin cover. But, again, sewing is mostly pressing, and a really good ironing board will last you decades. Mine is actually a Rowenta, but I couldn’t find any good pictures of that model. You’ll probably have better luck buying your big ironing board when the Giant Chain Fabric Stores have their 50% off sales, if you can wait that long. A giant ironing board will make pressing just-washed fabric and hand hemming (when you use the board to support the skirt fabric) go much faster. I’d love to hear about your must-have tools, or the ones you use all the time. Tell me about them in the comments! Fantastic list – I’ve just added the EZY-HEM to my wish list! My only addition would be a sleeve ironing board. So useful for getting inside those little spots, such as pressing up a sleeve hem. After the ham, I probably use this tool the most when I’m sewing. It really is all about the pressing! Magiccuffer! Because I seem to have to figure out cuff pants either early in the morning or late at night. I have a set for home and a set I bring to gigs. I’m going to have to check out that hemming tool! The two others I can’t live without are a chalk wheel and my pattern weights (which are just very large washers). The weights make tracing and cutting so much easier. The chalk wheel marks almost anything quickly and accurately. Thank you for this. My own crafting tends to be a bit hit and miss and underprepared, so I really needed the reminder of the importance of proper prep and decent gear! My favourite sewing item is my box of daisy head pins – they can be seen when you drop them on the floor and are nice and long, so better for pinning than the small steel ones. I’ve been umming and ahhing about whether I need an invisible zipper foot when I can do the job with the normal one. I think you’ve convinced me though. That hem gauge looks nifty too! Also, I love LOVE my blindhem foot. I actually use it a lot for edgestitching as well but I’m too cheap to buy an actual edgestitch foot… the blindhem foot does double. I also wouldn’t be without my ruffle foot but that’s very much the sort of thing that would intimidate a beginning sewer! It looks TERRIFYING! But I sew a lot of doll clothes and it’s an invaluable timesaver for teeny tiny ruffles. If you mainly sew apparel you could probably do without. I second the rotary cutter, weights and mats. I tape 2 24×36 ones together (from the underside). I also use a clear acrylic quilting ruler to cut bias strips, pockets and things that don’t come with pattern pieces. At the sewing machine, I also keep tweezers and a jeweler’s flat-head screwdriver to help push fabric through the machine. You can gather with the screwdriver and an applique foot! Oh good! I already have three of the five, plus I agree with Eternal Magpie abouat the sleeve board. I’m going to look up the hem tool and get an invisible zipper foot (having used the other “cheapy” foot I agree whole-heartedly & can’t figure why I did not get a “real” one sooner!). I am saving this list for when I have the time, energy, and courage to learn to (really and properly) sew. It’s on my “some day” list. In the meantime, I’m buying the hemming tool right now, as I am constantly repairing and redoing fallen hems. Anything to speed the process is welcomed. Believe it or not, I’ve already got a giant ironing board, and believe me, it did NOT cost anything close to $100. I bought it when I was pressing large, vintage handkerchiefs and attaching them with “Mistyfuse” to large dinner napkins prior to stitching around the border (to make a gorgeous quilt, believe it or not). Standard ironing boards were way too narrow. I think (not sure) I got mine at Walmart. It’s even got a decent cover! Hey, can someone tell me a source for good invisible zippers? The ones I buy at Hancock and JoAnn are constantly breaking! I find that to be even more likely if I unroll the zipper as I stitch it down. You are the best–thank you so much! I actually find it easier to install invisible zips with the regular zipper foot…I can get super-close to the teeth. I tried the invisible foot once and didn’t like it much…a YMMV kind of thing. As for must-have tools, I couldn’t live without my pinking shears. The stitched-and-pinked seam finish is my go-to! Thank you for the inspiration! Will an invisible zipper foot fit any machine? I adore my 60’s Vactric I was given at 15 but have always lamented the lack of a zipper foot of any kind…the idea of having one opens up a world of possibilites. My husband’s grandfather had an ironing board the size of a small aircraft carrier, how I wish we had inherited that wonderful item. First you have to find out what kind of shank you machine runs with. There are three. High Shank, Low Shank and Slant shank. Once you find that out, finding a generic foot that fits should be easy. I can’t sew without my edgestitching foot. I used the blind hem foot for several years, but my edgestitching foot allows me to move the needle left or right. It’s great for not only perfect, so close to the edge topstitching that people are amazed, but I use it to stitch in the ditch as well. Worth every single penny! The hem gauge. Could not sew for 15 minutes without using it. I’ve got a drywall t-square (4 ‘ long) and a small right angle ruler hanging on the wall behind my cutting table — great forchecking right angles and straight grains, measuring, and cutting long straight lines with a rotary blade in a trice! Also, I was wondering if you would do a post on pressing technique? Apparently I was labouring under the false impression that pressing and ironing are the same thing, but no? I am not sure what that then means for my pressing stage! Any advice would be super helpful! Ironing and pressing may use the same equipment, but differently. Ironing moves the iron back and forth while resting on the fabric (smoothing wrinkles and rumples). Pressing is when you lift the iron to a new section, avoiding stretching the fabric, arranging the fabric by hand before applying the iron. Sometimes when working with a really stubborn fabric, you really do press down hard, and then let cool before moving the fabric. My clover double wheel tracing wheel and my pattern weights; a couple of vintage staplers which work really well. Basting glue. That is, fabric glue that washes out. Works like stickynote adhesive for repositioning, holds firmly once you iron it, and still comes out in the laundry. I love it for making slippery or creepy fabrics hold still for sewing, and for not distorting fabric the way pins can. I have a blocking board for my knitting which is GREAT for ironing large swathes of fabric; it’s surface has a grid printed onto it, 48×30 inches, and is meant to pin out my handknits for drying and blocking to size. When I need to press some freshly washed fabric, I can even true up the grainlines by following the grid. It wasn’t cheap, and can be a bit of a bear to store if you don’t have an appropriate amount of space behind a bookshelf. But it does fold in half, has a handle, and I can just open it up on the floor to vacuum lint and stray threads right off it. I just wish it could handle a rotary cutter, those mats get pricey! 1. Scissors wardrobe: Ginghers shears are worth the cost. The “funny arch” applique scissors which are wonderful for trimming interfacing close to the seam without cutting the sewing thread. 4″ scissors for clipping threads. I have one by my sewing machine, one by my serger, and one in my portable sewing box. 2. Point turner for collars and cuffs. 3. Rotary cutter and board the same size as my table (custom cut). SO much faster and more accurate. 4. Rowenta iron (won’t buy any other brand) and my old ironing board that I bought when I went to college in the 70s (with new cover, however). 5. Really good serger (Babylock) and really good sewing machine (Janone). I so enjoyed this post. It helps me to dream that I will get my sewing room cleaned up and organized so that I could actually start a new project. I will be checking out the Ezy-Hem. I can’t quite tell how to use it. A hemostat, or kelly clamp–useful for everything, including holding on to the end of elastic as you feed it into a casing, holding threads for gathering, fishing out bits of thread that get stuck in the bobbin case, as well as many kitchen applications (removing the plastic insert from olive oil and soy sauce bottles, grabbling the little tab on frozen oj cans). So useful! I have a dozen seam rippers, I use them for everything. I use cuticle scissors half the time for sewing purposes, little bitty curved blades? Oh yes. Super long pins, I can pin a hem with four of those. I used to live in an apartment building which had retail shops on the ground floor, including a wedding dress establishment, it was amazing how many things they threw away, including thread nippers, most of which I still have, so I can vouch for the ‘tiny sewing scissors’. I have a small jar with a magnet on the inside of the metal lid, when I’m hand sewing, I put the needle there, so I don’t have to lose and painfully “find” the needle…. I did a course last year to up my dressmaking skills. Over 12 months we made and boned many, many corsets, the foundation piece of any close fitting, high end evening wear. My most important lesson? Steam is your friend, lots and lots of it. 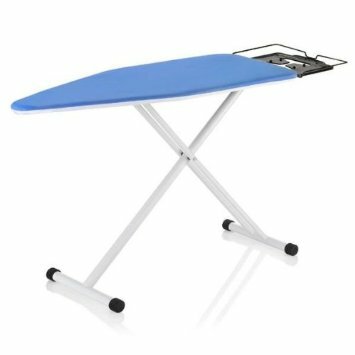 Not the kind that your standard domestic iron gives you but the kind that comes from those expensive irons with a boiler. A good blast of steam can smooth puckers in a less than perfectly stitched seam, can smooth wrinkles out of a curved, boned princess seam in a bodice, can shrink out pin holes in hideously expensive silk fabrics…. I could go on an on. Before you buy a new sewing machine, spend the money on a really good iron. It will improve your sewing out of sight and will make light work of your domestic ironing too. Marking pen! One of the blue ones that comes out with water. I have never had a problem getting it off fabric and you can mark sonething and come back to it the next day unlike those purple fade-y buggers. Also a serger, a good iron, and a plastic grid ruler. Serious emphasis on the plastic grid ruler. It’s free and you print it out on cardstock. It makes hemming so much easier. Also, try ebay when searching for an invisible zipper foot. I looked up the model/part number for my sewing machine and then searched for it on ebay. With shipping, it was less than $10. Makes a world of difference. I have a nice big ironing board that I bought at Target – it was Michael Graves and it’s awesome! I might have to check for an Ezy-Hem on my next trip to the fabric store. I hate hemming dresses–my hems always turn out a little weird. 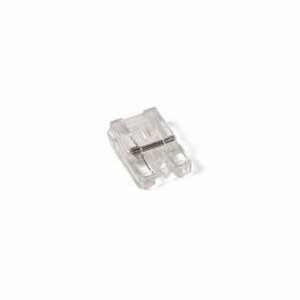 And I’m pretty sure I have an invisible zipper foot lurking in the box of sewing feet that came with my hand-me-down sewing machine (it’s an awesome machine, and since my grandma invested in so many feet, I don’t have to). “About a half dozen seam rippers” – so true! I constantly lose mine. It looks terribly tacky, but I have a blob of blu-tak on my sewing machine that holds a seam ripper – it has actually helped me to not always lose one! I definitely have to get one of those hem thingies though! My other can’t-live-without is glass-headed pins – so much better than plastic. Heavens, I have never heard of an EZY-HEM! I am shocked and appalled by my lack of knowledge. I want one NOW! In complete agreement on the other things though. My most invaluable sewing tool is my fingernails. If I break my thumbnail or index fingernail I can’t pick up needle, pins or threads. Very annoying. Tweezers also come a close second and for measuring, I love my sewing gauge. And Clover Wonderclips for holding hems and awkward bits that pins just don’t work for. My favorites are a dental pick that’s not sharp, but still slips under stitches and then the stitching easily slides out around it, easier than around the tiny seam ripper points. Good pins that don’t melt or have snags in the finish or dinged points. 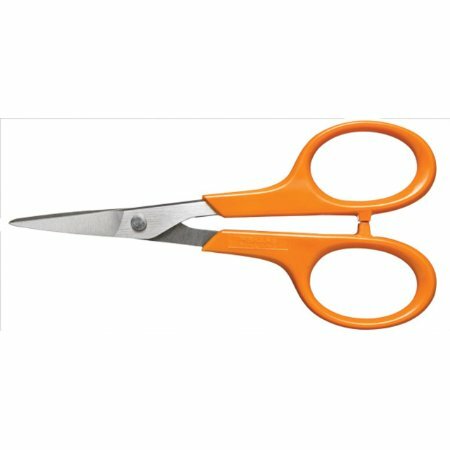 Fiskar shears with spring handles – sharp and save my wrist. Pattern weights – stainless steel fender washers (hardware store find) and my home-made rope weights. My dress forms (adult and children sizes). Makes everything easier – marking even hems for (especially circle) skirts, pinning linings for hand stitching, applying trims, smoothing lapels, pinning neck bindings, draping, testing closures, marking muslins, visualizing fabric choices, etc etc. I will have to get the Ezy-Hem, despite the horrible spelling! My can’t-live-without is a tie between my rotary cutter, which is the best for cutting big pieces of fabric, and an Exacto knife, for cutting out patterns. An Exacto is fantastic for quick, precise cuts on tissue paper. It makes the whole pattern-cutting process go much faster! Some of my favorites not already mentioned above are pre-packaged bias tape; set of bias tape makers for when pre-packaged just won’t do; dual tip marking pen with disappearing ink on one end and water soluble ink on the other; hem tape – NOT the iron on kind; wrist band pin cushion. I absolutely hate cutting apart patterns and using the carbon paper stuff just gives me a headache. My #1 recent discovery is … Freezer paper!!! Yes freezer paper. I’m a little blind so I tape my pattern and the freezer paper to a window like the sliding glass back door trace and then cut out my pattern. After that I just iron my fabric put the freezer paper waxy side down and iron it on. no slipping, pinning or pattern weights required. Best part is your left with no markings and no the wax does not adhere to the fabric it peels right off and you have an iron on pattern you can use up to 20 times. I love freezer paper and my rulers and rotary cutters. Definitely going to get the EZY-Hem… I’m always tortured by hems! Love your blog! Followed the links to your bio- love it, too! I bought an ezy-hem a few years ago, but rarely use it because it gets too hot from the iron after a few passes. How do you get around that? I bought an EZY-hem a few years ago but rarely use it because after a few passes of the iron, the EZY-hem is too hot to handle. How do you get around this problem? I think I just have asbestos fingers? I also turn my iron down a bit and rely more on steam instead of pure heat.